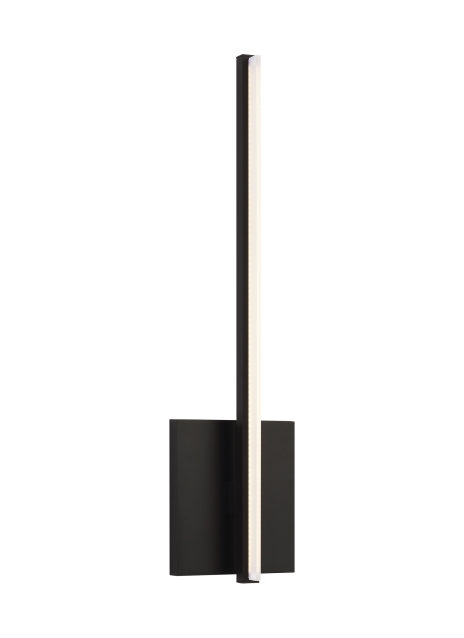 For the modern minimalist, the Kenway wall sconce by Tech Lighting is designed for simplicity. Contrasting an unadorned chrome or matte black square backplate with a thin, vertical light, Kenway fits contemporary modern environments. Designed with a height of 17”, the integrated LED is slim but powerful, providing plenty of illumination for your bathroom, vanity and hallway setting. Lamping options are compatible with most dimmers. Refer to the Dimming Chart for more information.